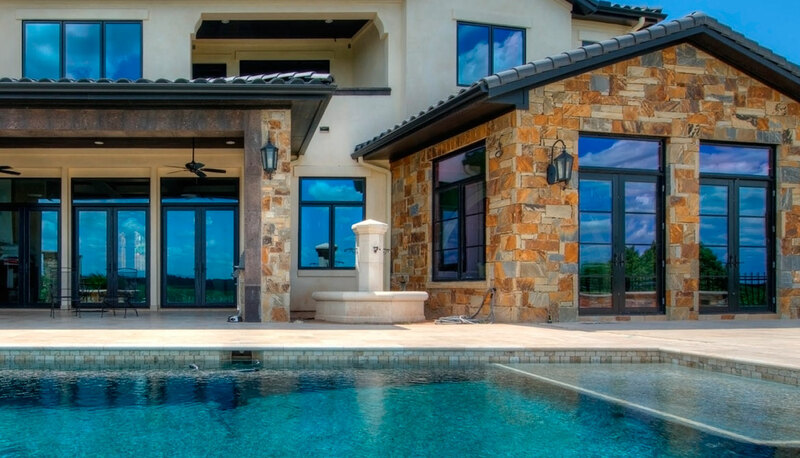 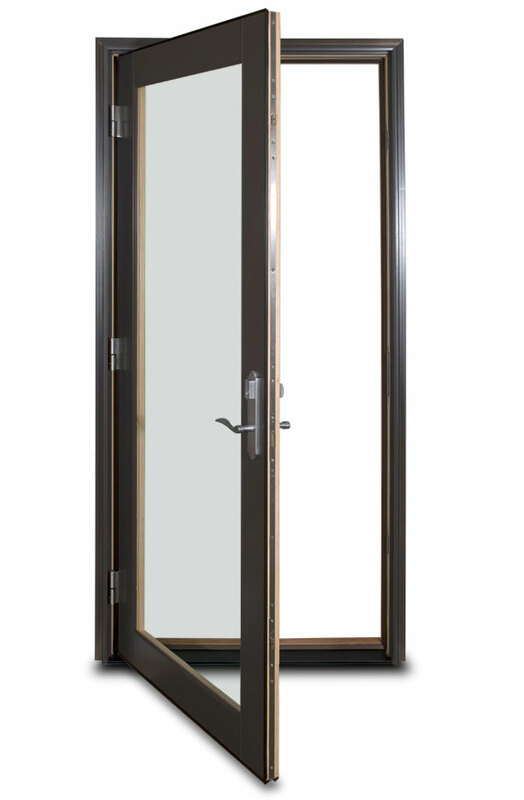 SunClad™ Out-Swing Doors offer many of the same features as our In-Swing doors, only with a revised frame and sill that allow them to have panels that open outward. 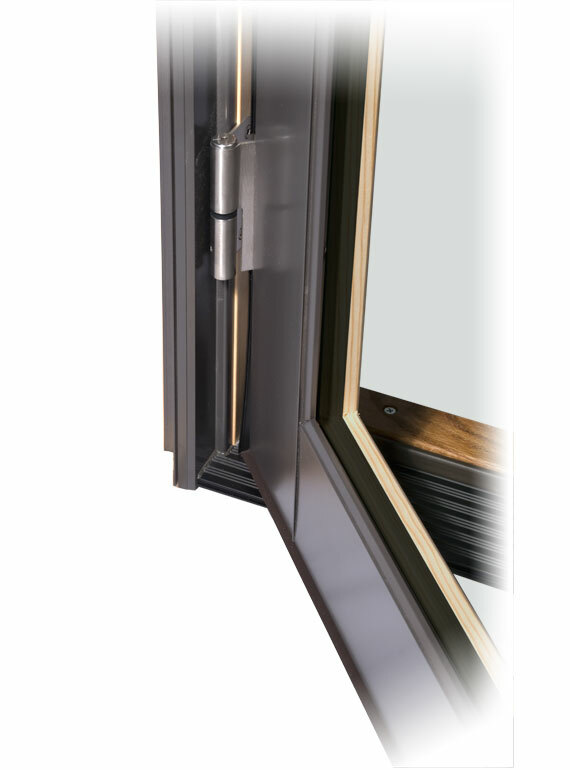 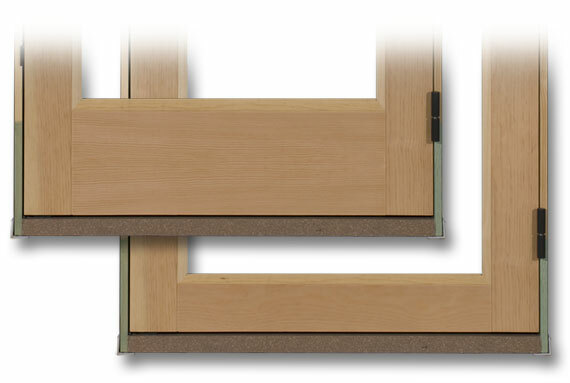 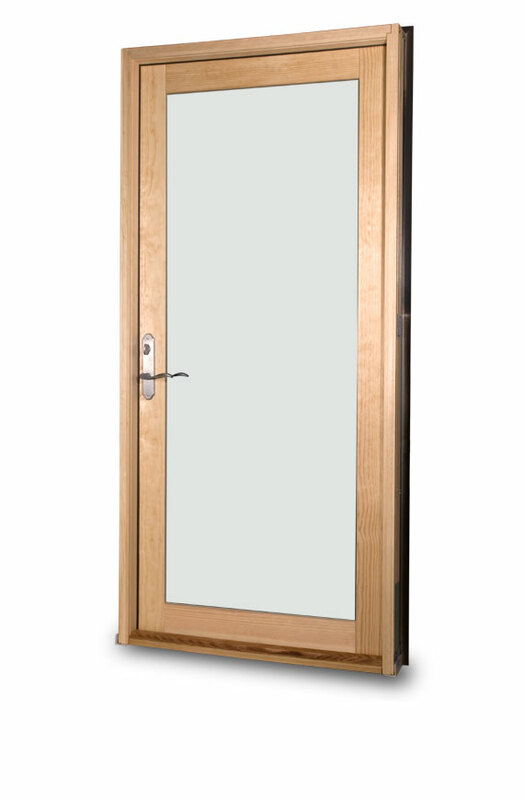 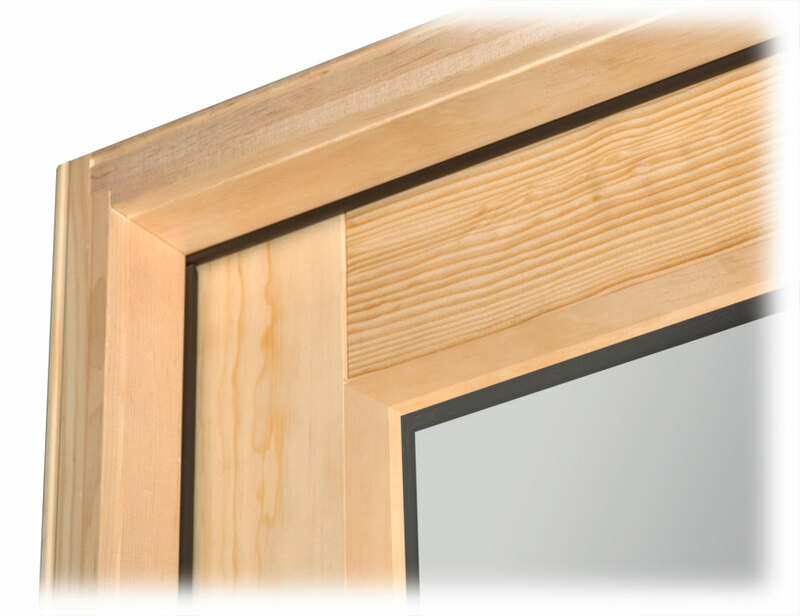 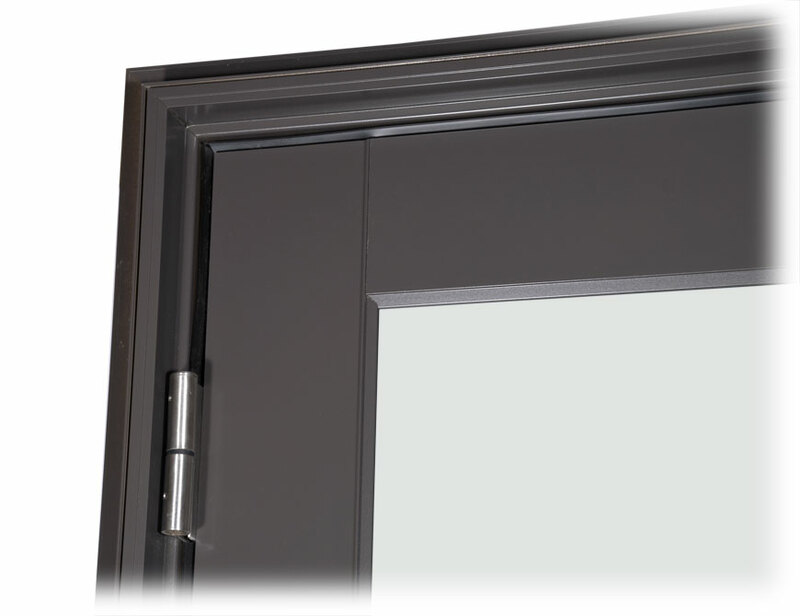 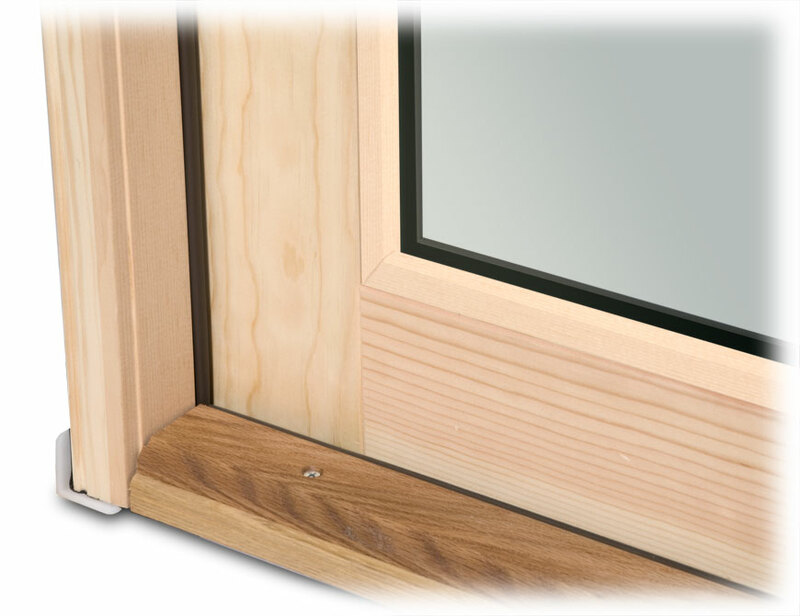 • Standard Jamb Depth = 4-9/16"
SunClad™ Out-Swing Doors open outward to the exterior of the home. 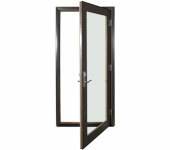 The door panel can be ordered with the hinges on the left or right side as viewed from the outside. 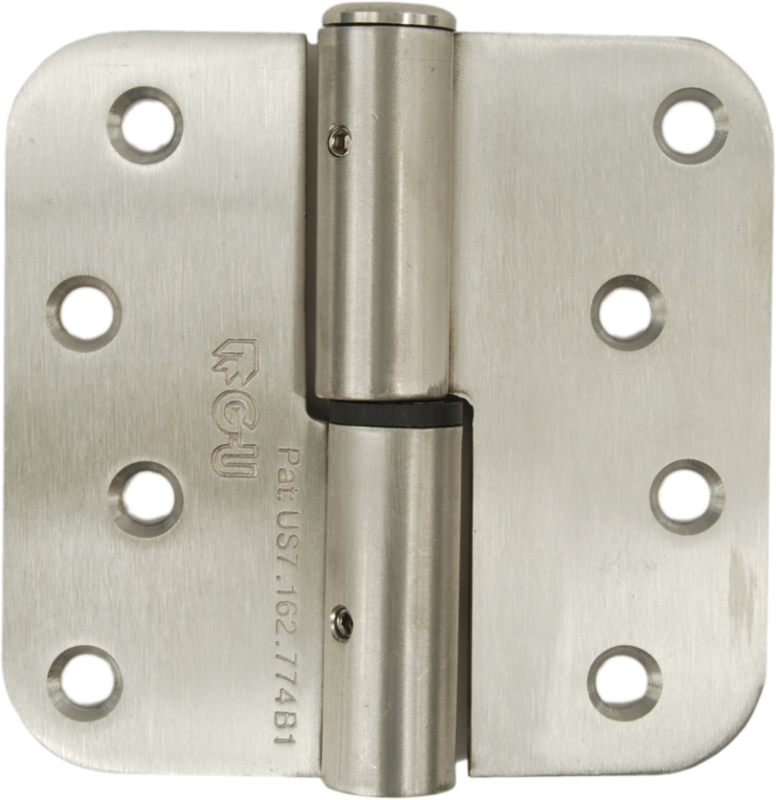 A single point latch comes standard with 6-8 and 6-11 height doors. 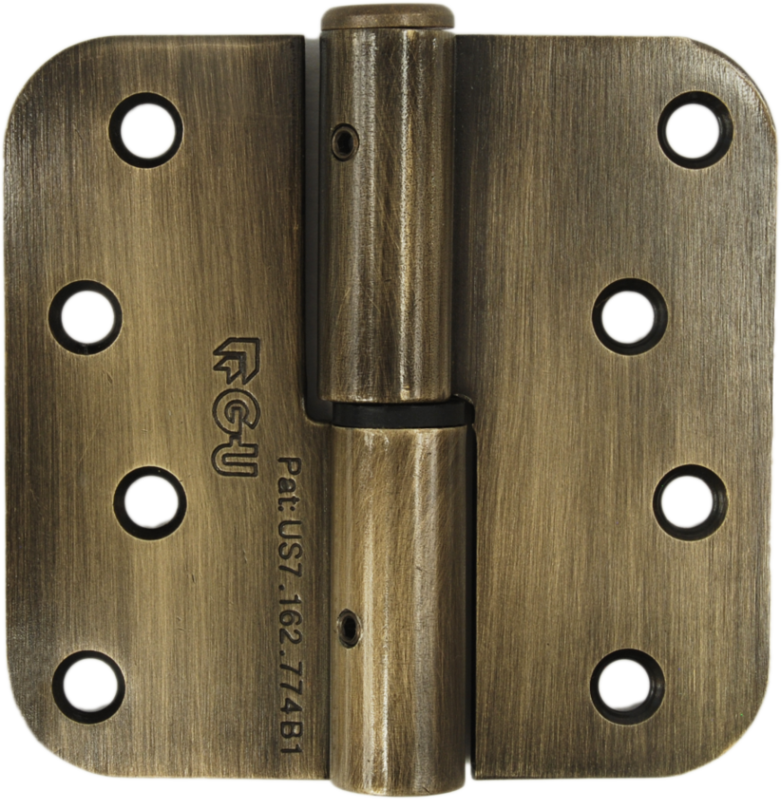 This can be upgraded to our Multi-Point latching system. 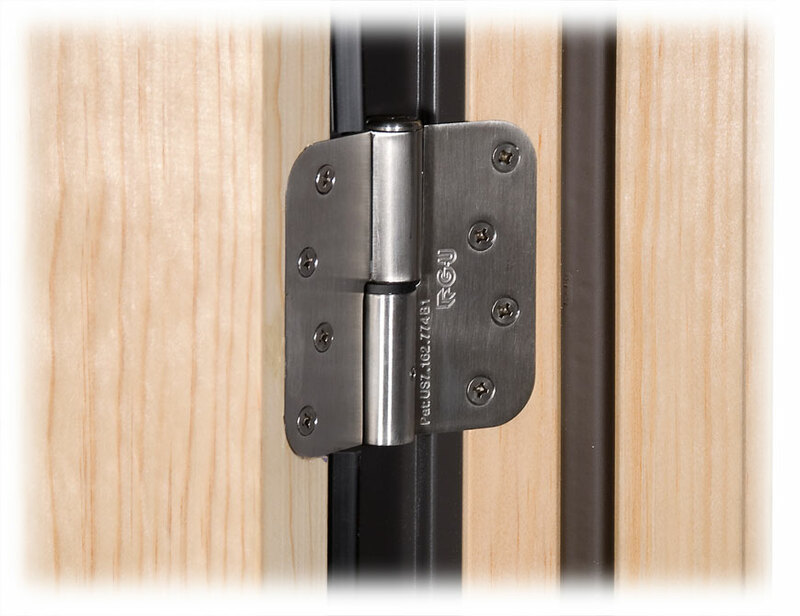 The Multi-Point latching system is standard on 8-0 height doors. 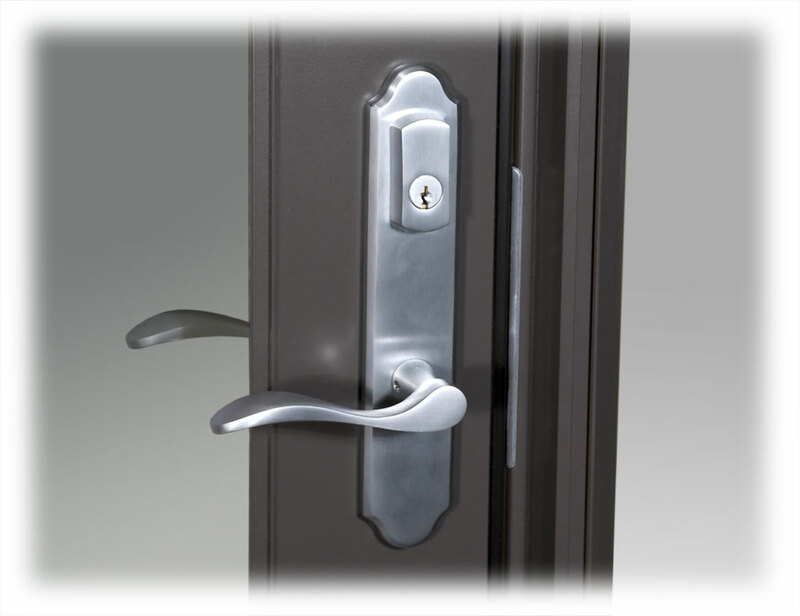 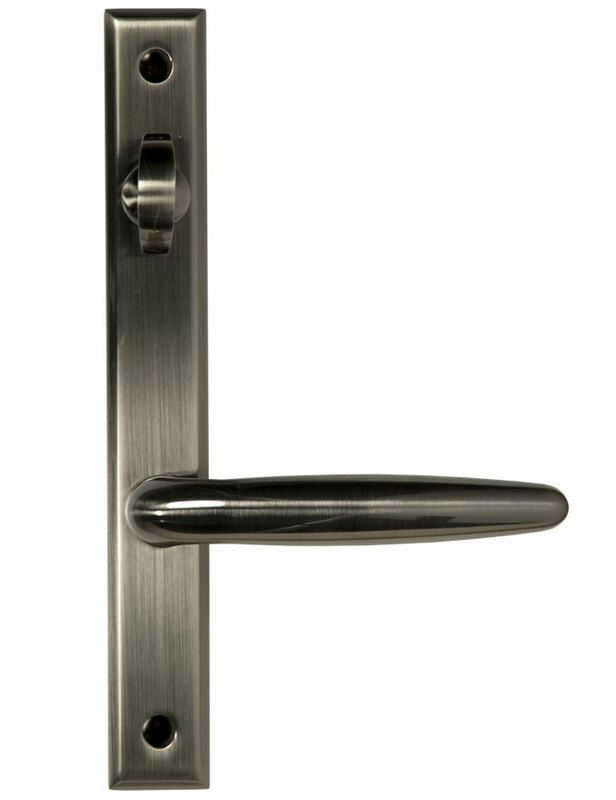 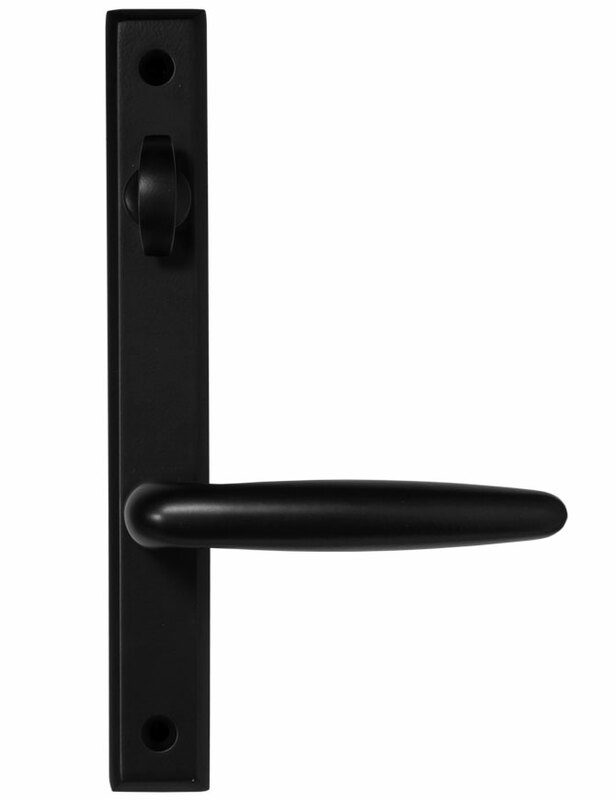 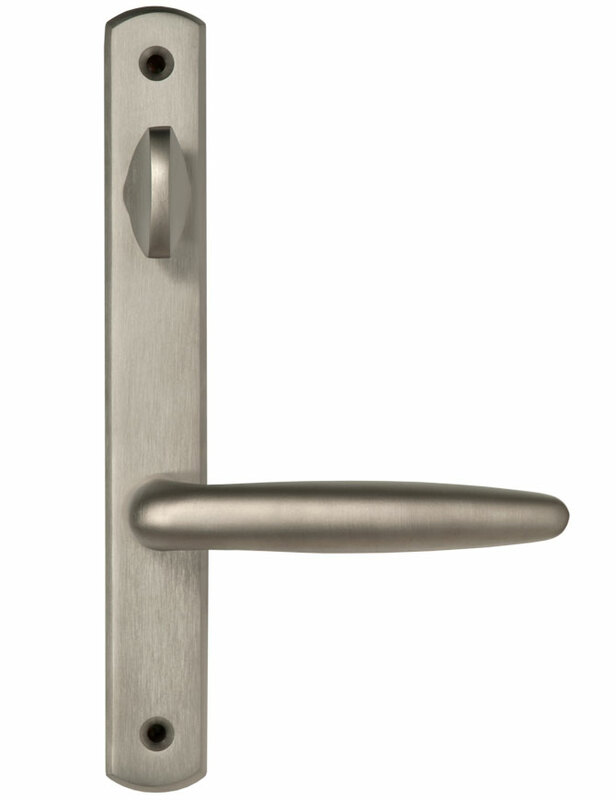 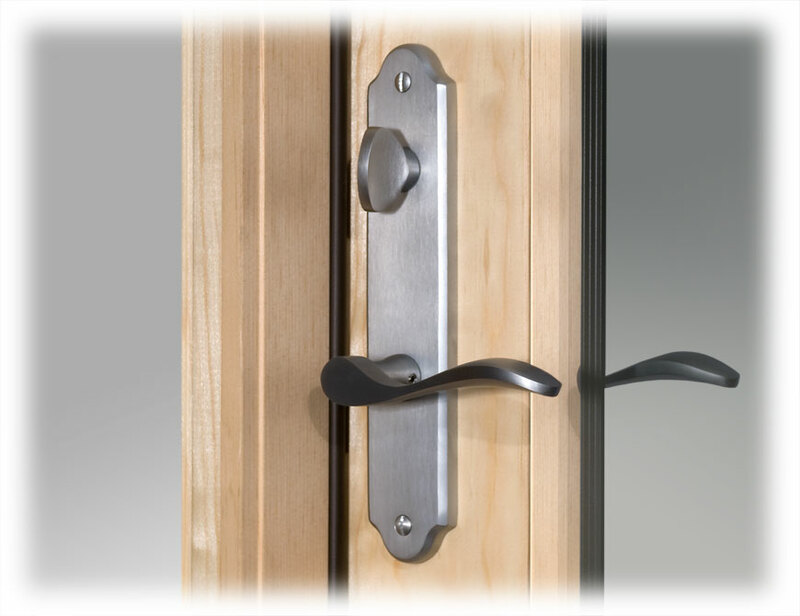 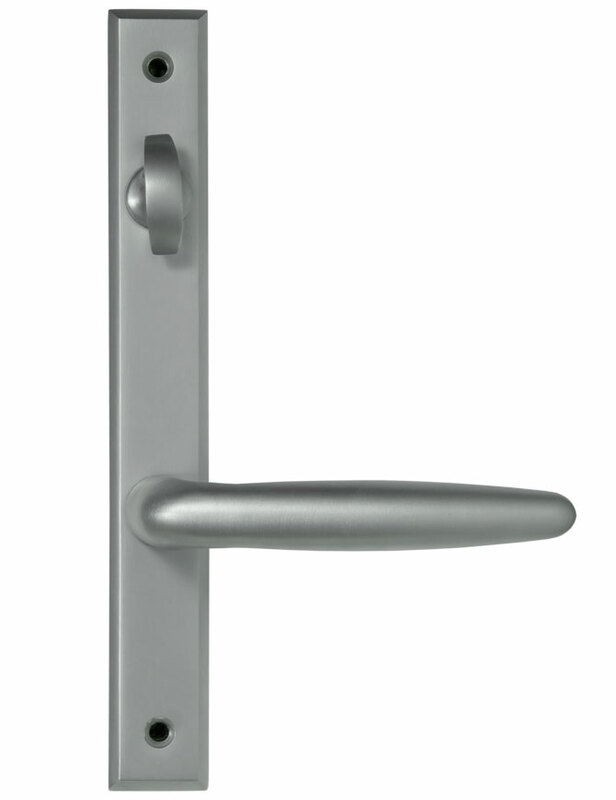 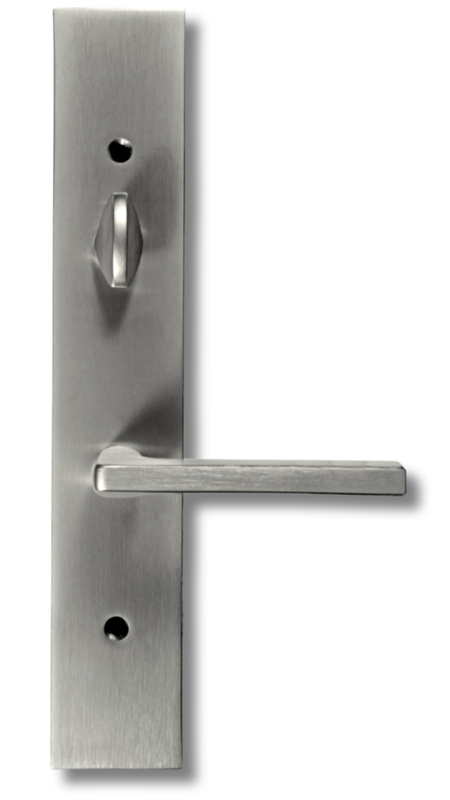 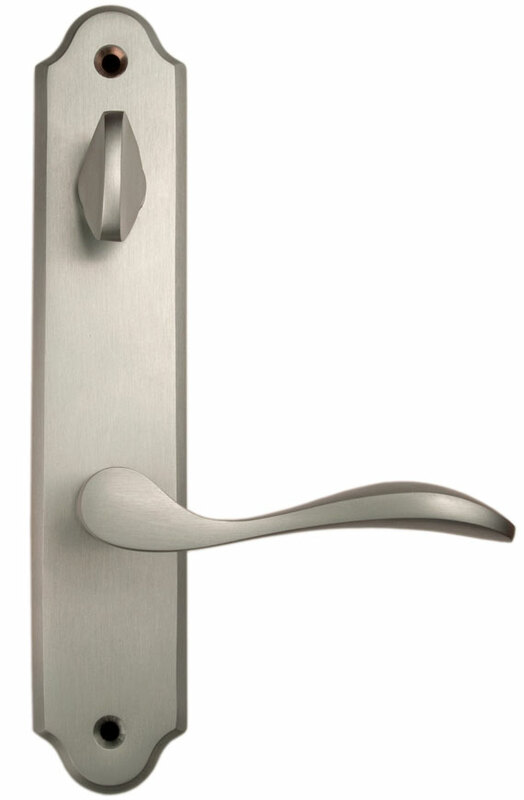 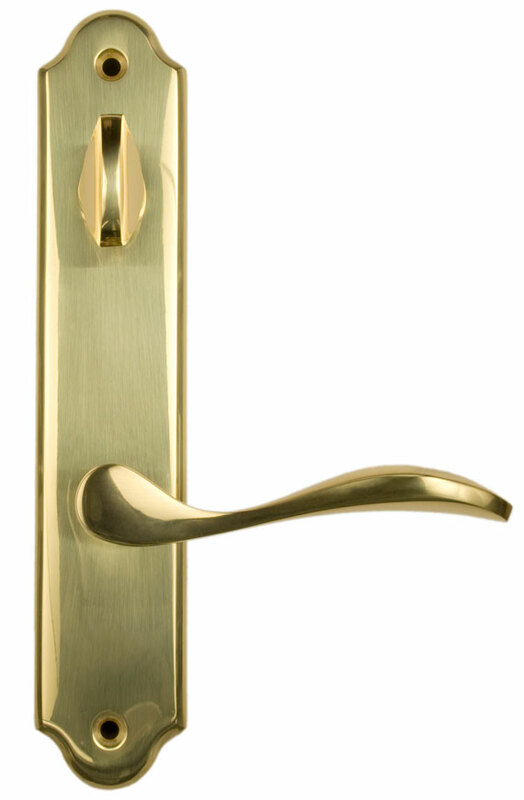 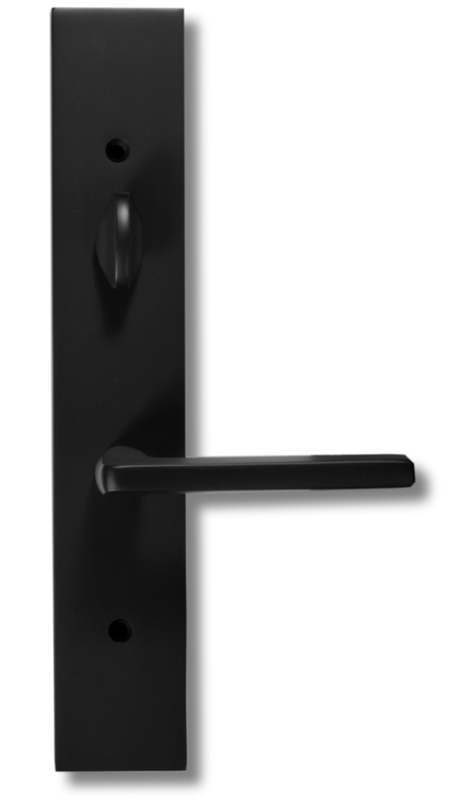 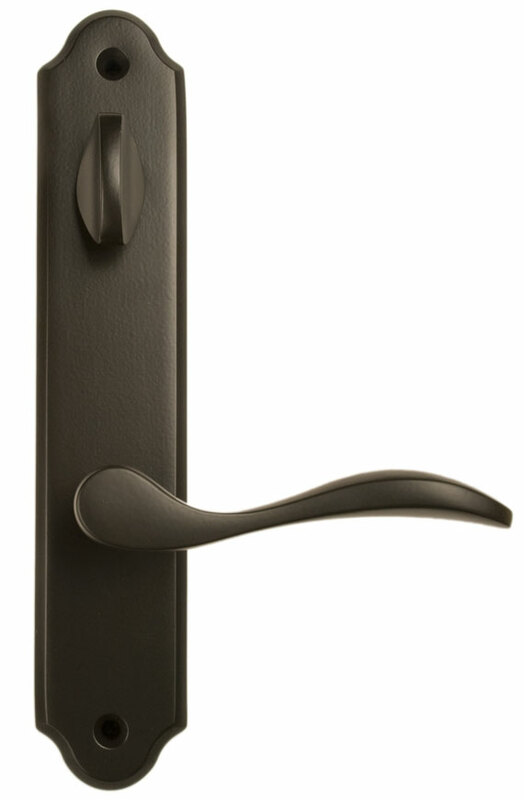 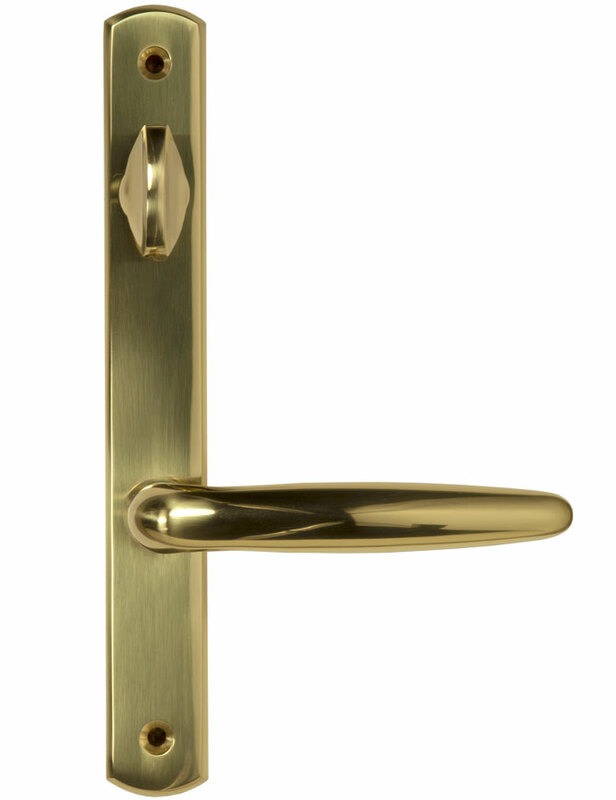 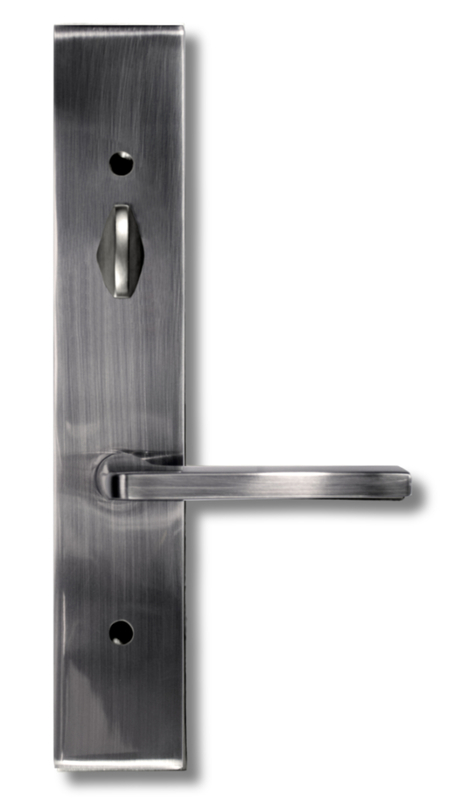 A handle set with single-point latch and deadbolt lock is included as standard with all 6-8 & 6-11 height operating doors. 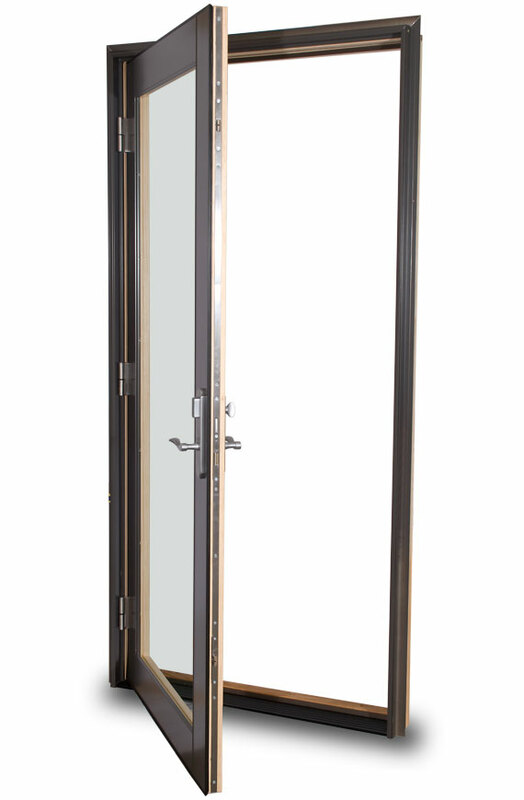 Multi-Point is standard on 8-0 heights and an optional upgrade on the other heights. 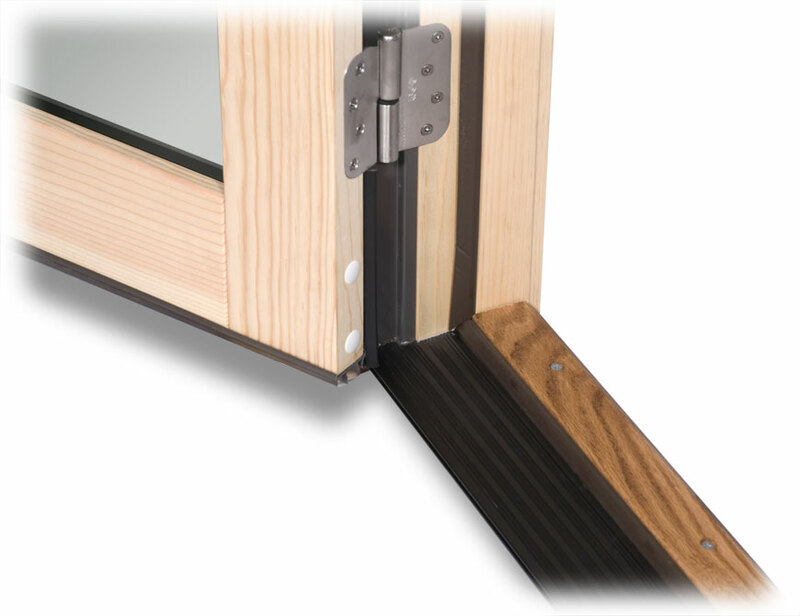 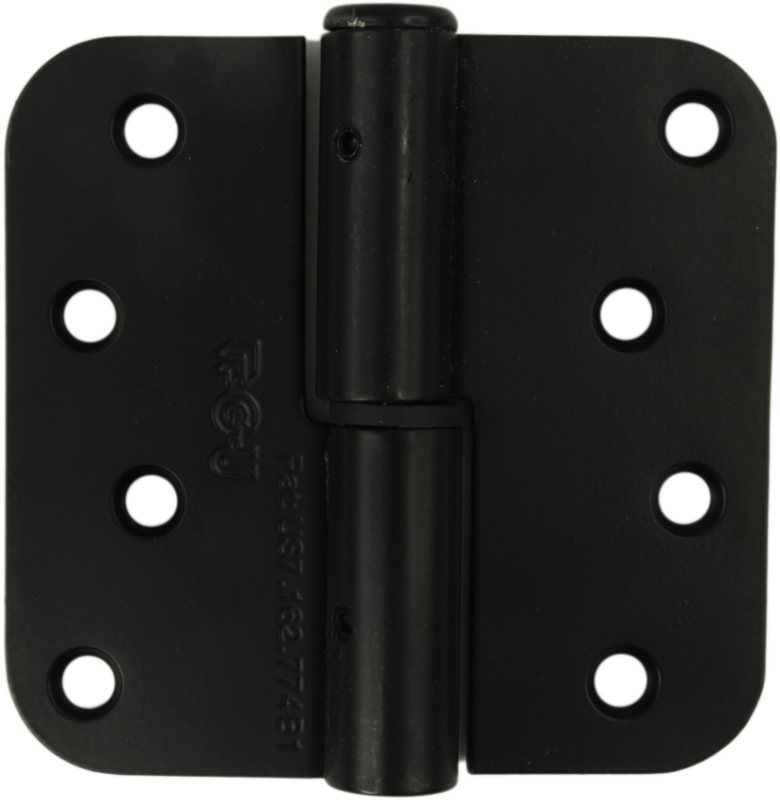 Adjustable Hinge System is standard on all hinged doors. 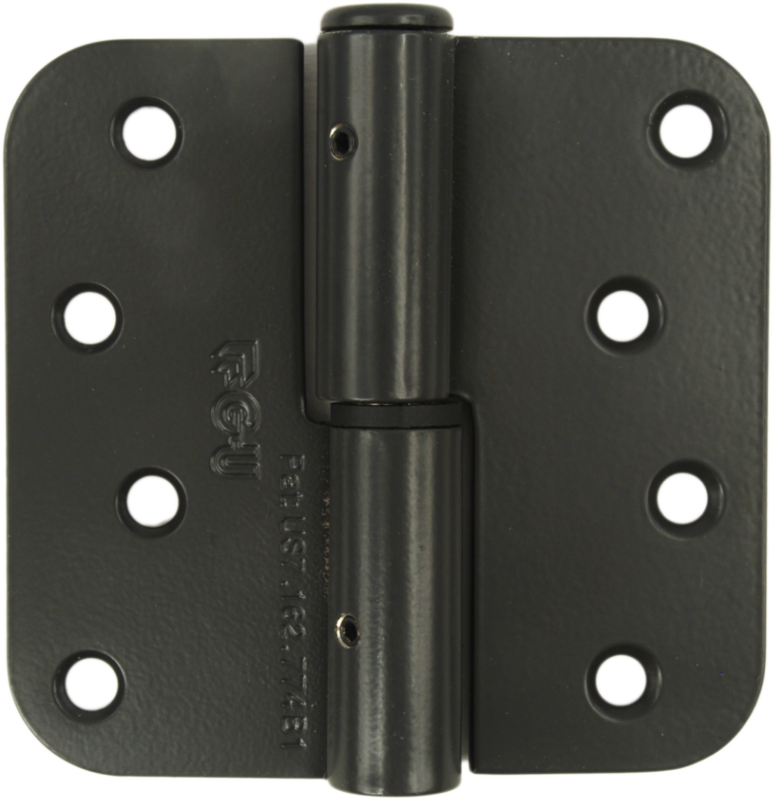 Provides vertical, horizontal and compression adjustments to fine-tune door alignment. 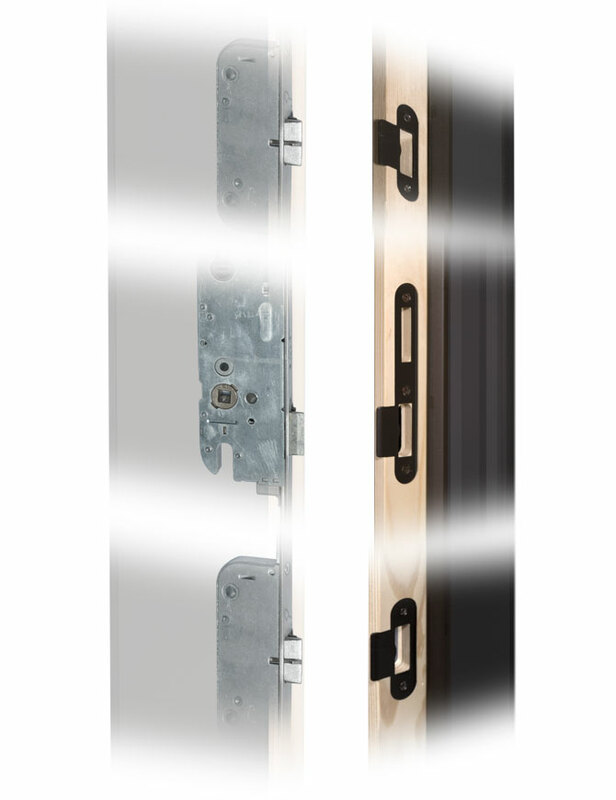 When ordering multiple doors, you can have the locks keyed alike. 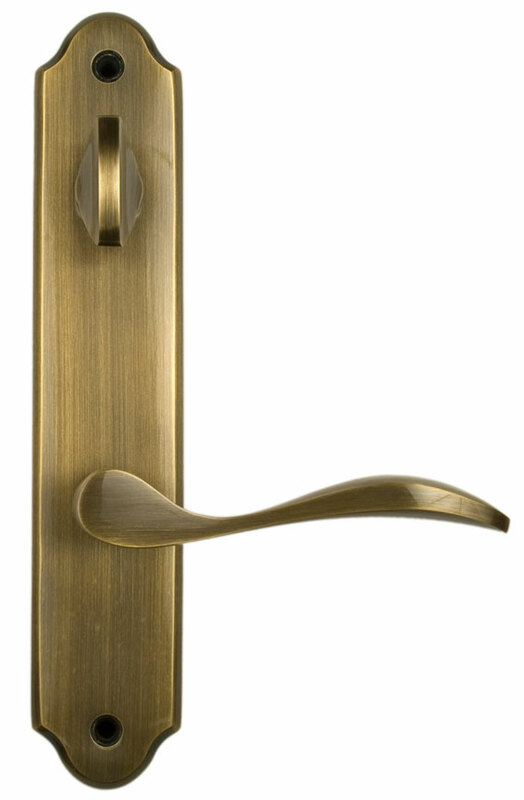 Just specify "Keyed Alike" when placing the order. 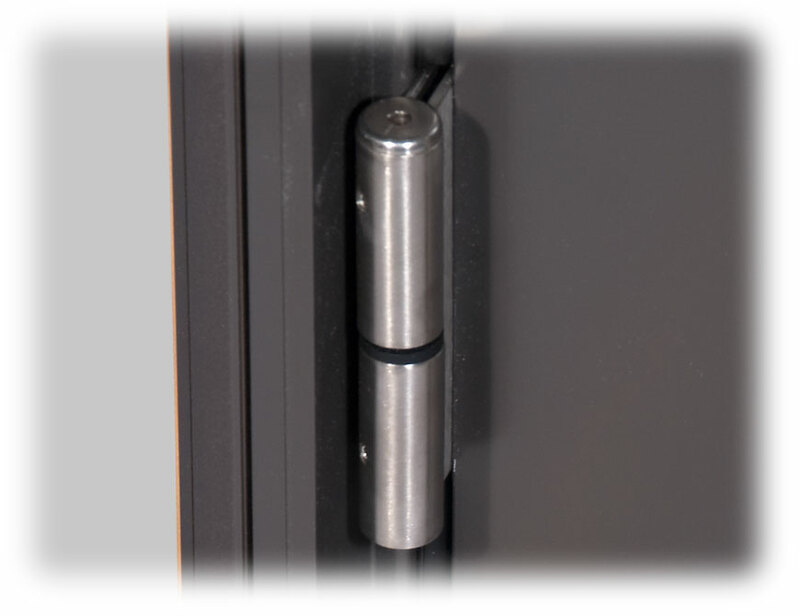 Upgrade your 6-8 & 6-11 door single point lockset to Multi-Point latching hardware for greater security and stability. 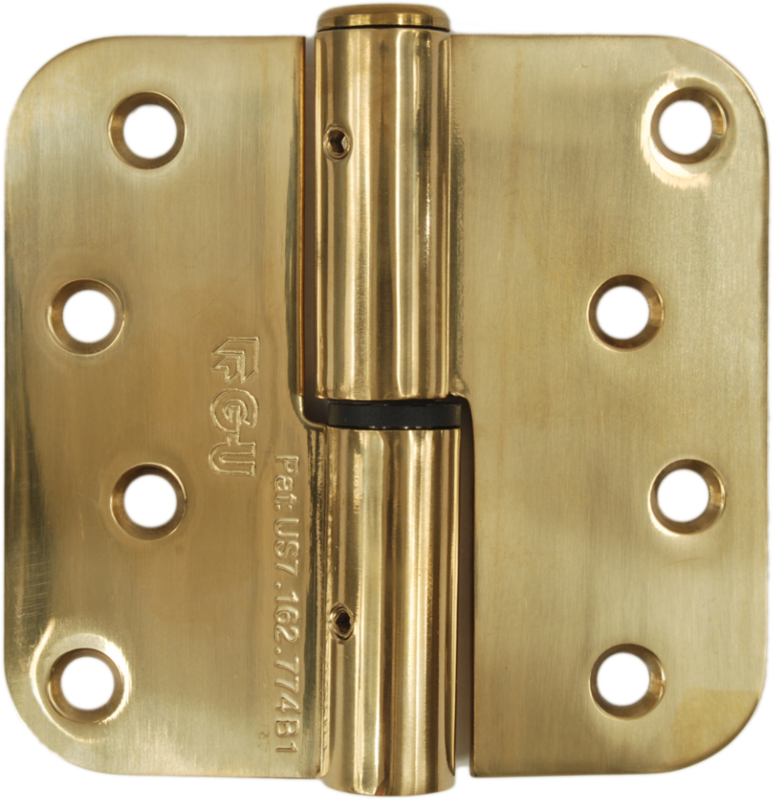 Multi-Point hardware has three latch points that engage the door jamb over the length of the door panel. Multi-Point is standard on 8-0 heights and an optional upgrade on the other heights. 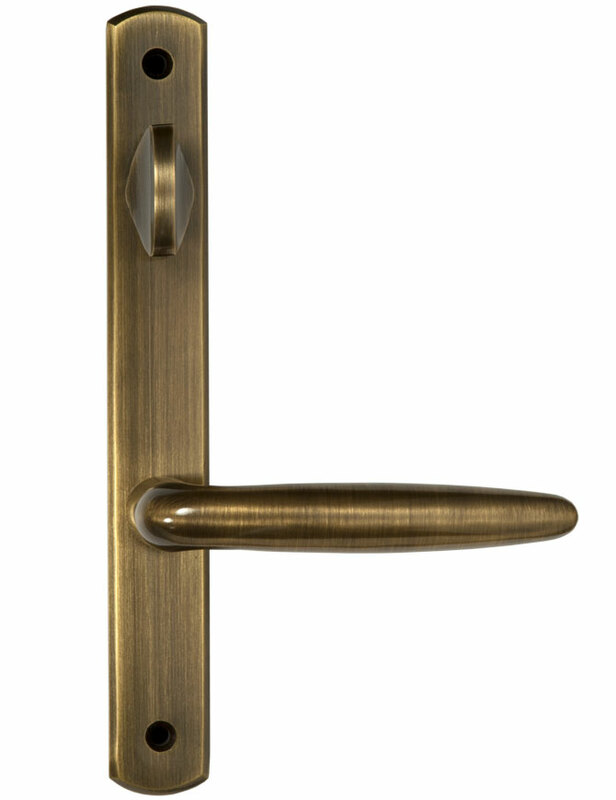 Hinge Finish coordinates with the handleset finish. 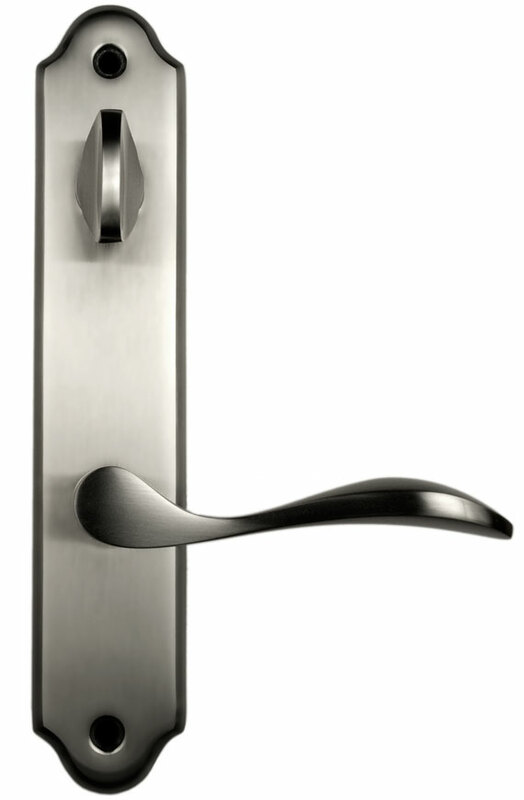 Upgrade finishes available at additional cost. 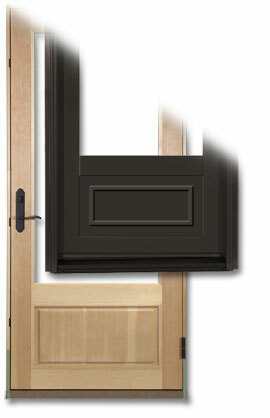 Sun door panels in their standard configuration have equal sized stiles and rails with 4-11/16” wide profiles. 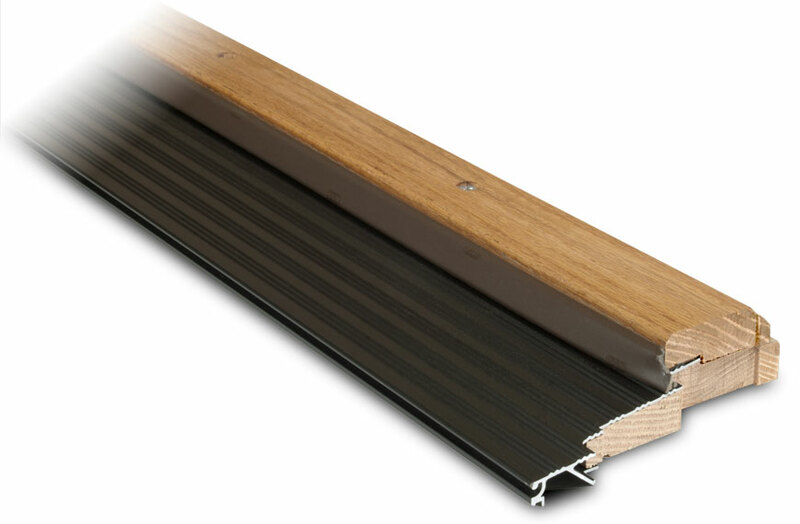 As an option, Sun offers a 10” bottom rail for applications where a taller bottom rail is desired. 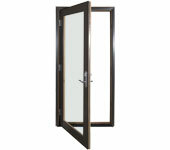 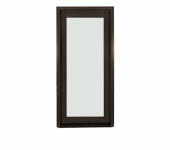 Our standard door panel is a full view glass door panel. 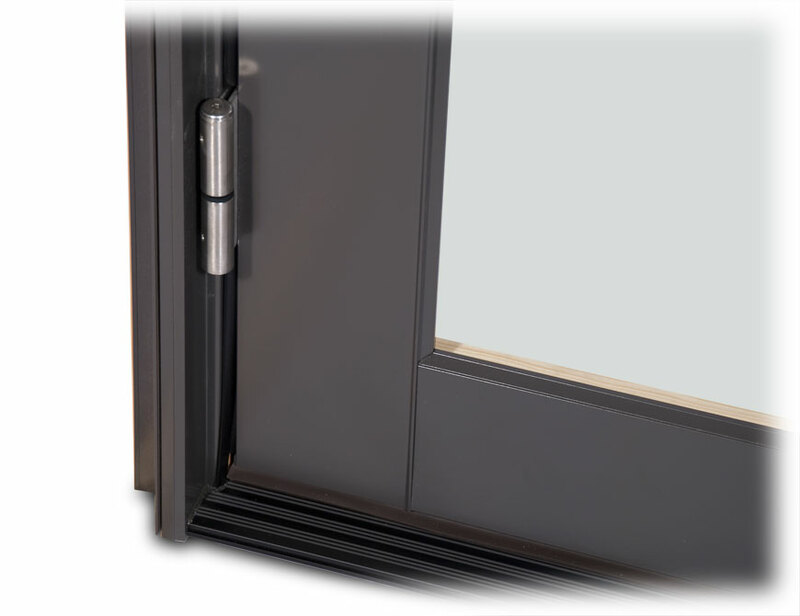 However, you can add Solid Panel Inserts to create a panel with a mixture of glass and solid surfaces to suit your project designs. 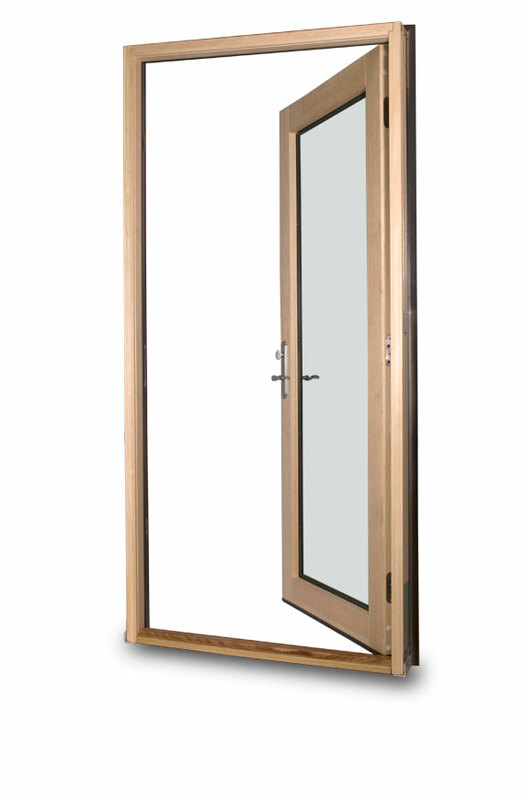 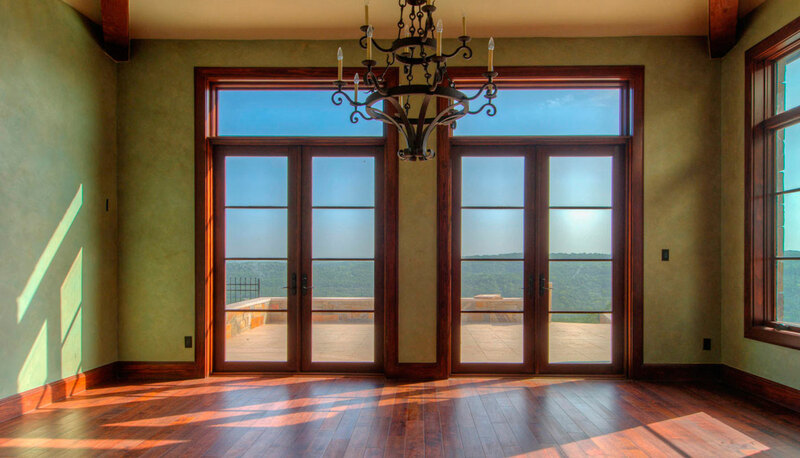 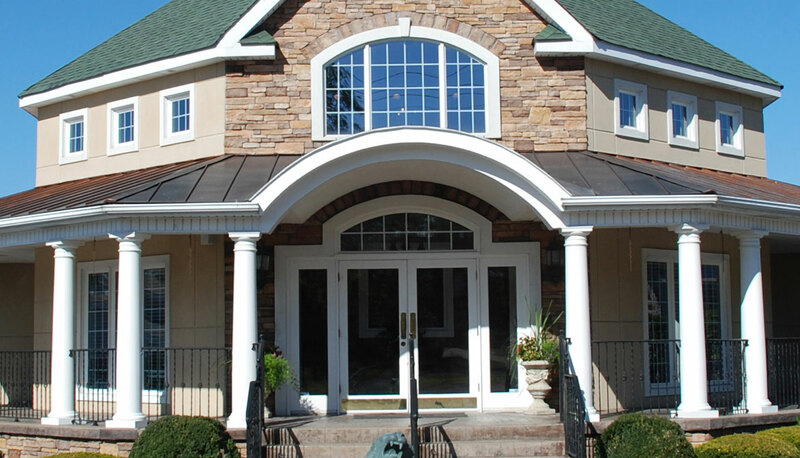 Out-Swing doors use Sun's Standard Out-Swing Sill. 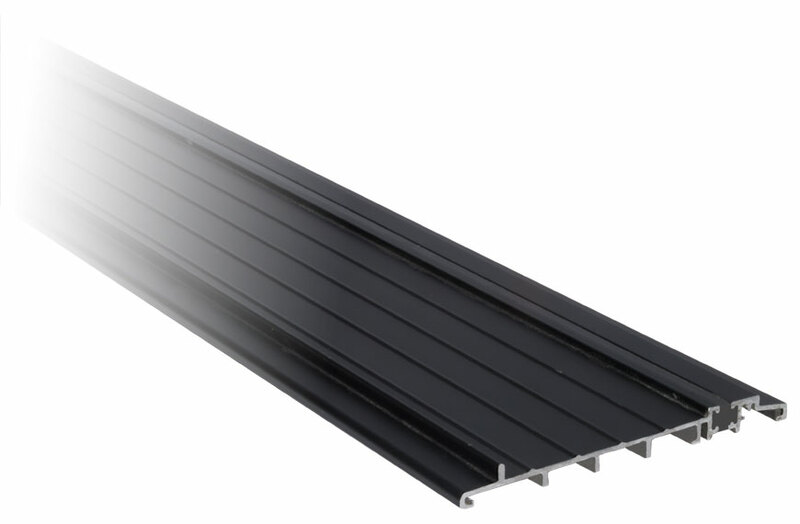 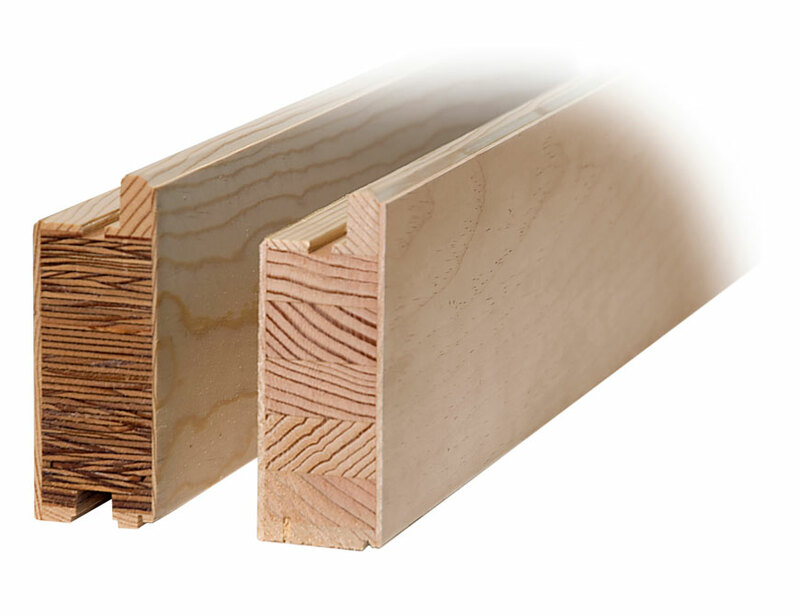 An ADA type, low profile sill is available if it is required by your project. 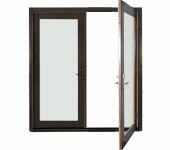 ADA approval is dependant upon your project code requirements. 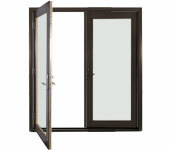 Please contact Sun to review your needs and we will help you determine if this sill is appropriate for your application. 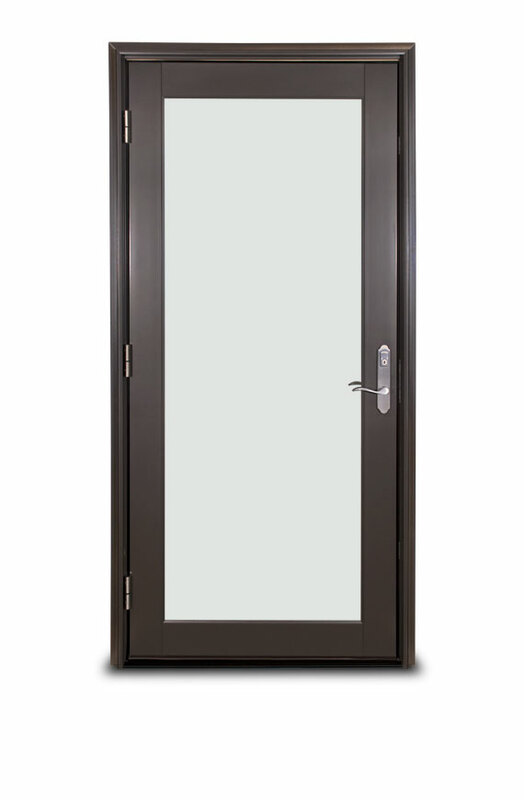 Custom sizes are available by quote.